If you think you have seen the Acionna by Lew & Huey on our pages already, you would be correct. I wrote up the Kickstarter project for the site back when I was still a “friend of the site,” and Patrick had a chance to spend a little time with a prototype. 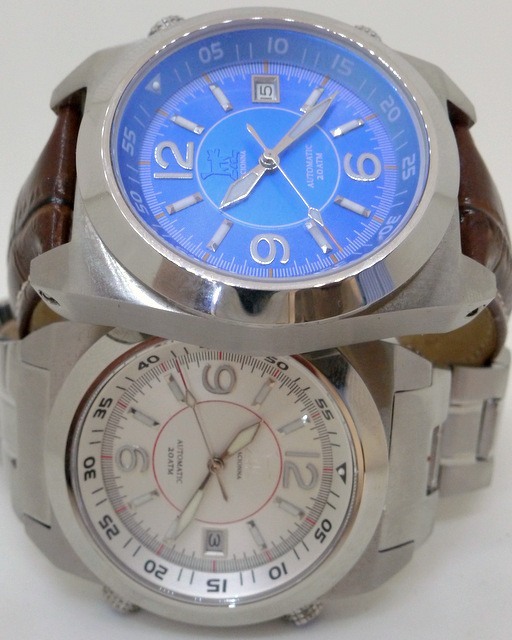 Now that they are in production, the company sent over a pair of watches for a final hands-on review. 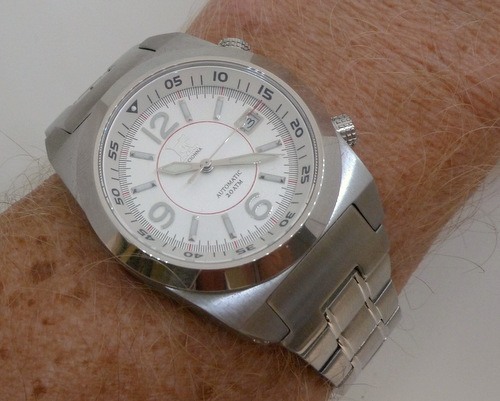 My first comment on the watch has to be that this is not a dive watch, in spite of the marketing on the watch site. It has the depth rating to make it a dive watch, but the bezel rotates in both directions, so you can’t rely on it for timing an actual dive. I like that it is an internal rotating bezel, which a nice feature at this price, but the bezel is bidirectional and the adjustment crown is non-locking. 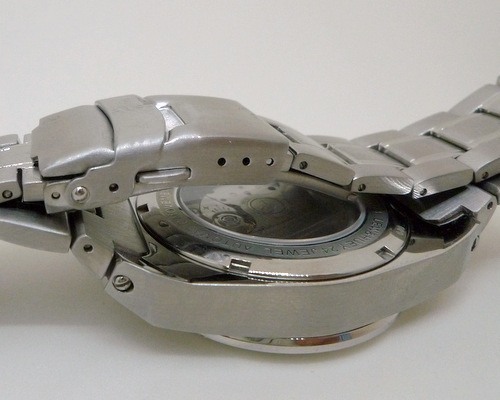 As a dive tool (even though it is almost never used in this day of dive computers), the bezel has to be uni-directional. As a parking meter timer or oven timer, it might actually make it a bit easier to adjust this way. For me, the styling looks like something I think of as “retro-future.” It is what people back in the 50s thought that we would be wearing today. The case is very solid, a squared off cushion design, so it has a presence on your wrist of a watch larger then the 40mm width (48mm lug to lug). 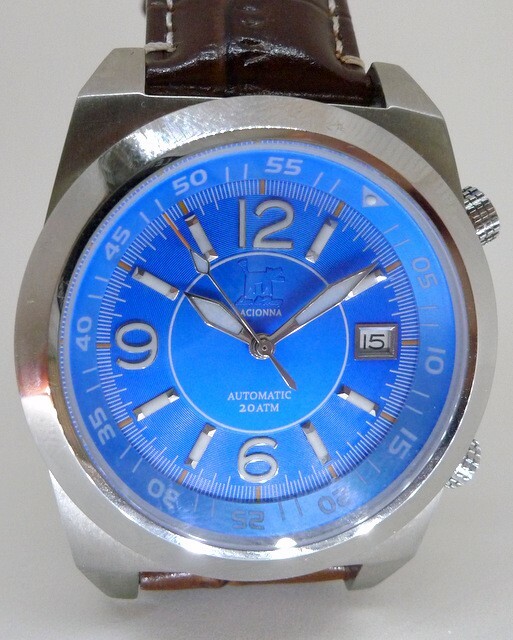 Ticking away behind the anti-reflective coated sapphire crystal is a Miyota 9015 automatic movement. with both the internal rotating bezel and a polished stainless bezel around the crystal, the watch face ends up looking a tad undersized. The raised number and chapter bars are easy to read, but it just seems like it is a long way from the edge of the case to the actual watch face. while I am back on the rotating bezel, I will say that it rotates easily and is very readable from any angle. It rises up at a fairly steep angle, so the markings minimize a bit when viewed top down, but a slight tilt of the wrist makes them very visible, and the orange tipped second hand provides an indication of how recessed the watch face actually is from the crystal. The adjustment crown for the bezel, located at 2:00, moves freely, but it is a little tough to adjust easily when the watch is on. 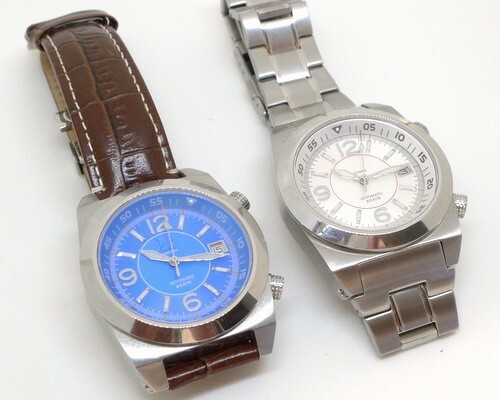 When we were discussing which watches to review, I asked for both the blue and silver versions, because I wanted to see how much I would like the bolder color, and I like it. The blue, with the luminous hands and indexes, along with the bits of orange, really pop on the wrist. The portion of the face under the indexes is very tightly grooved, providing a refraction that changes the color slightly from the center of the watch when the light hits it an an angle. You can see it a little bit in the images here, but I like how it brings the blue to life when it is on the wrist. The same effect is evident in the silver version, but because the color is naturally more muted, I don’t think the effect is as pronounced. I would also expect to see something similar with the black version. The lume makes the watch easy to read in the dark. Who’s it for? 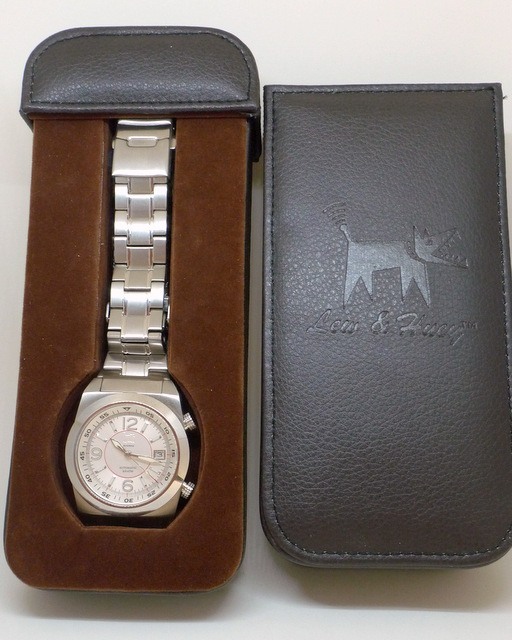 : An automatic watch lover on a budget. Would I wear it? : Occasionally. What I’d change: Unidirectional bezel. The best thing about it: The way the grooved texture catches the light.